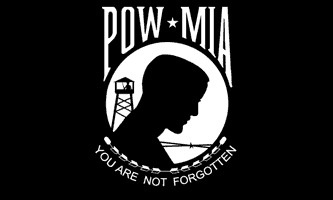 We carry POW/MIA flags for all your needs. Choose from outdoor or indoor versions and in sizes 2x3Ft to 8x12Ft. Available in standard nylon fabric for everyday use or for high wind areas, we carrry these in 2-Ply spun polyester fabric which is the most durable fabric available. Our POW MIA Flags are proudly Made in the USA.